In this article, Professor David A. King explores the authenticity of the statement that tenth-century Egyptian astronomer Ibn Yūnus was the first person to use a pendulum to measure time. After examining evidence originating from medieval sources along with a series of statements made by historians and orientalists, Professor David A. King challenges common misconceptions and reveals that the association of the pendulum with Ibn Yūnus is a history of errors. This revelation by no means lessens the scientific contribution of Ibn Yūnus, who was perhaps the greatest astronomer in Islamic history. In 1970, whilst preparing his doctoral dissertation on the astronomical handbook of Ibn Yūnus, the Hākimī Zīj, Prof. King discovered the corpus of 200 pages of tables for astronomical timekeeping by the sun and regulating the times of Muslim prayer for Cairo associated with the Egyptian astronomer; these were described in a study published in 1973. In Professor King’s Magnum Opus, entitled In Synchrony with the Heavens and published in 2004, he describes dozens of such tables for different localities all over the Islamic world, based on hundreds of previously unstudied medieval manuscripts. 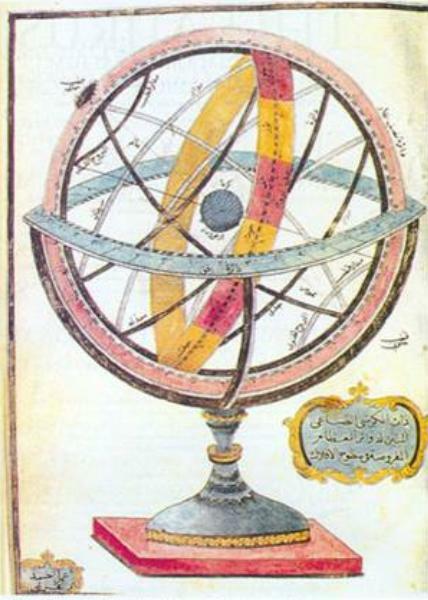 Ibn Yūnus was largely responsible for this remarkable development in Islamic astronomy. [Note of the Editing Manager] This article was originally published as: David A. King, "Ibn Yūnus and the Pendulum: A History of Errors” in "Archives Internationales D'Histoire Des Sciences, vol. 29, no. 104 (1979)". We are grateful to Professor David King for permitting republishing on the Muslim Heritage website. Some images added as indicated in their captions. In the popular literature on Islamic science one often meets the statement that the tenth-century Egyptian astronomer Ibn Yūnus was the first person to use a pendulum to measure time. The purpose of this note is firstly to state that there is no evidence whatsoever in the known medieval sources that Ibn Yūnus used a pendulum, and secondly to document a series of statements by historians and orientalists that have led to this association of the pendulum with Ibn Yūnus[]. 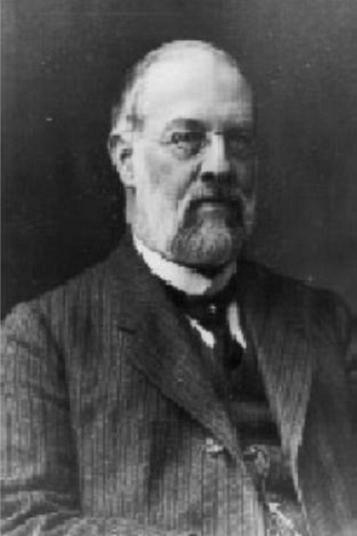 The distinguished German historian of Islamic science Eilhard Wiedemann made two separate attempts in 1919 and 1922 to kill the myth, but, judging by the frequency of its recurrence in the modern literature, he was unsuccessful[]. Wiedemann pointed out that drawings of plumb-lines in Islamic sources might have led to the idea that Muslim scholars were already acquainted with the pendulum. I doubt that this was the case, because such plumb-lines are illustrated only in sections of Islamic treatises on levelling. Plates I and II show two such illustrations, taken respectively from the treatise on theoretical astronomy entitled Nihāyat al-idrāk by the celebrated thirteenth-century scholar Quṭb al-Dīn al-Shīrazī[], and from the treatise on the use of the Indian circle for determining the meridian by the late-sixteenth-century writer al-Khalkhāli[]. These plumb-lines need concern us no further in the present study: they have been adequately discussed by Wiedemann. As presented in the Islamic treatises, they are unrelated to the pendulum as a means of reckoning time. Wiedemann was not familiar with the Arabic manuscripts of Ibn Yūnus’ works which survive in various libraries in Europe and the Near East, so that he was unable to seek the origin of the myth about Ibn Yūnus and the pendulum in the primary sources. In the past few years I have examined several dozen manuscripts of the various astronomical works compiled by and attributed to Ibn Yūnus[]. Plate I: Illustrations of plumb-lines in Quṭb al-Dīn al-Shīrāzī’s Nihāyat al-idrāk, reproduced from MS Cairo Ṭal’at haya 45, foL 145r, with kind permission of the Egyptian National Library. Plate II: Illustration of a plumb-line in al-Khalkhāli’s treatise on the Indian circle, reproduced from MS Cairo Ṭal’at majāmī’ fārisī 26, fol. 172v, with kind permission of the Egyptian National Library. These include manuscripts of the remaining parts of his major work, the Hākimī Zīj; fragments of other zījes which I think are also due to him; a corpus of tables for timekeeping by the sun and regulating the astronomically-defined times of prayer; extensive solar and lunar equation tables; trigonometric tables with entries for each minute of argument; an astrological treatise; and a poem on the times of prayer. In none of these is there any mention of the measurement of time using a pendulum. Islamic science to document the colorful history of this myth. In view of the diverse nature of the source material I shall include many direct quotations, with translations into English where necessary. A more extensive quote from Bernard’s letter is recorded in translation below. No evidence whatsoever is presented for Bernard’s assertion, but he was an Arabist and had familiarity with some of the Arabic manuscripts in Oxford. However, the catalogs of the Arabic manuscripts in Oxford published in 1787 (by J. Uri) and 1821-35 (by A. Nicoll) do not mention any treatises on the pendulum. One might speculate that Bernard would probably have left some note in any Arabic manuscript in which he had discovered some reference to the pendulum. But, as far as we know, he did not. Elsewhere in his book Montucla writes of the achievements of Ibn Yūnus, without mentioning the pendulum[]. He was aware of the observation accounts in the Leiden manuscript of the Ḥākimī Zīj. Where did Young pick up this specific reference to Ibn Yūnus? The spelling Junis might indicate a German influence. 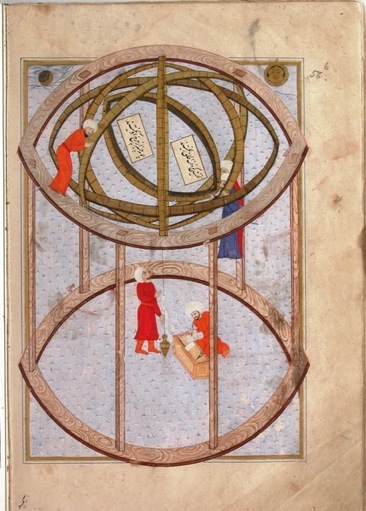 However, I think it is more significant that Young thought that not only Ibn Yūnus but also “the other Arabian astronomers” used the pendulum for measuring time during observations. Given the assertion of Bernhard that the Arabs used the pendulum to measure time, and the fact that Ibn Yūnus was celebrated for his observations, Young put two and two together and made five. The first serious studies of the unique manuscript of Ibn Yūnus’ Ḥākimī Zīj preserved in Leiden were conducted in Paris in the early nineteenth century[]. In 1804 Caussin de Perceval published the text and translation of the introductory chapters of the zīj dealing with observation accounts. Not long thereafter J.-J. Sedillot prepared a translation of the entire manuscript which he intended to publish. A summary was prepared by J. B. Delambre in his Histoire de l’Astronomie au Mayen Age published in 1820, but Sédillot’s work on Ibn Yūnus was never published, and the fate of his own papers relating to Ibn Yūnus is uncertain. It is significant that neither J. J. Sédillot nor Delambre made reference to the use of the pendulum by Ibn Yūnus. Sédillot’s work on Islamic astronomy was continued by his son L. A. Sédillot, and before the work of the Italian Arabist C. A. Nallino and the Swiss historian of science H. Suter at the end of the nineteenth century, the researches of Sédillots père et fils constituted the first serious studies on major Islamic astronomical works which had not been transmitted to Europe, such as those of Ibn Yūnus, al-Marrākushi, and Ulugh Beg. However, Sédillot-fils had a tendency to get carried away with certain erroneous ideas, the most notable and controversial example of which was the alleged discovery of the lunar variation by the tenth-century Arab astronomer Abu l-Wafā’[]. Wiedemann went on to point out that drawings of plumb-lines in medieval Arabic manuscripts might have led to the notion that the Muslims were familiar with the pendulum. 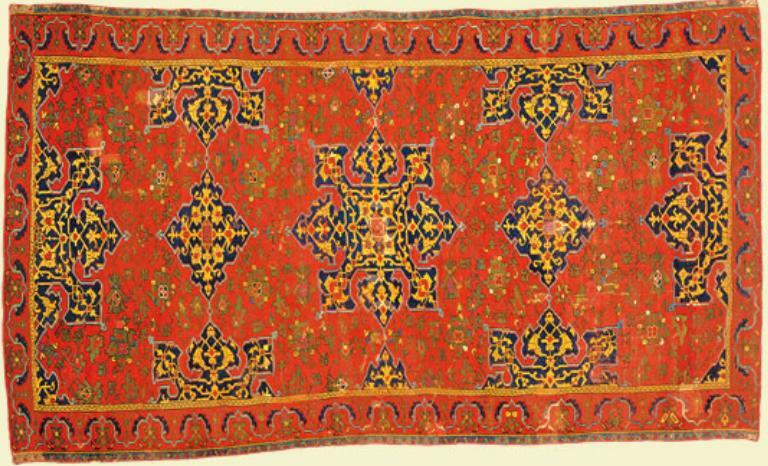 He presented illustrations from three Islamic works, one anonymous and the others by al-Khalkhālī (fl. ca. 1600) and al-Isfazārī (fl. ca. 1100). "Eingefügt sind die folgenden Figuren, von denen bei der ersten die Anbringung des Senkels an diejenige bei einem von Ibn Jûnus beschriebenen Gnomon erinnert und bei der das Senkel bei einiger Phantasie als ein Pendel aufgefaßt werden kann." I personally doubt that Sédillot confused Ibn Yūnus’ gnomon with a pendulum, since Ibn Yūnus’ description of it occurs in the middle of a section on tests for levelling. If we go back to the text of Ibn Yūnus’ Zīj, partially extant in the precious MS Leiden Universiteitsbibliotheek Or. 143, we find the original passage on p. 240, line 2: ... wa qad yuj`alu fi l-shakhş nafsihi kharq wa-khatt yu`lamu bi-hā waznuhu … which translates : “... a hole and a line may be made in/on the gnomon itself, and its alignment be known by them ...”. It is difficult to be sure what was originally intended by Ibn Yūnus in this passage. The word kharq means “hole”, not “groove”. Schoy read khaṭṭ as khayṭ, “thread”, which may indeed have been intended. Sédillot refers the reader to an earlier work of his[], in which there is, however, no reference whatsoever to a gnomon à trou. Ibn Yūnus did indeed observe that the end of the shadow of a gnomon corresponds to the lower limb of the sun rather than the center of the sun[], but nowhere does he mention an aperture gnomon. On the other hand, as we have seen, he does mention a gnomon with a hole in it, which would also be a gnomon à trou. We should remember that Sédillot’s father translated the entire text of the Leiden manuscript of the Ḥākimī Zīj, and so may have told his son that Ibn Yūnus had a gnomon à trou. But we have strayed from our main theme. In another popular book on the history of science published in the United States in the early twentieth century W. T. Sedgwick and H. W. Tyler stated simply that “the Arabs employed the pendulum for time measurement, and tabulated specific gravities of metals, etc.”, again without citing any sources[]. As far as I am aware the only other person to associate Ibn Yūnus with the pendulum in the first fifty years of this century was H. Leon, author of a non-scholarly article on the astrology of Ibn Yūnus published in 1931. Leon described Ibn Yūnus as “the inventor of the pendulum and the measurement of time by its oscillations”[]. 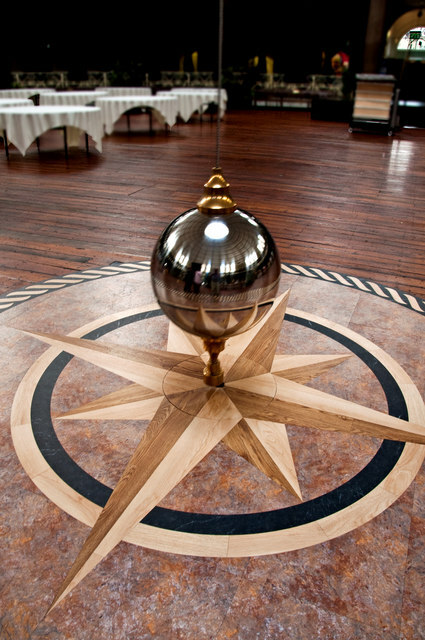 Many people think that the pendulum is an invention of the famous Italian scholar Galileo (1564-1642), and that he was the first to use it. These people would be surprised if they were told that this is not correct, and that the credit for the invention of the pendulum goes to a Muslim Arab scholar who lived in Egypt and grew up by the banks of the Nile. He used the pendulum before anyone else in striking clocks, and thus preceded Galileo in this invention by six centuries. We should not dare to attribute this important invention to the Arabs if it were not for the acceptance of it by certain foreign scholars. If we read the History of the Arabs by the famous French scholar Sédillot we find un-equivocal evidence about the priority of the Arabs in inventing the pendulum ... Likewise Taylor and Sedgwick state that the Arabs used the pendulum for measuring time. From this it is clear that the Arabs preceded Galileo in the invention of the pendulum and in using it in striking clocks. 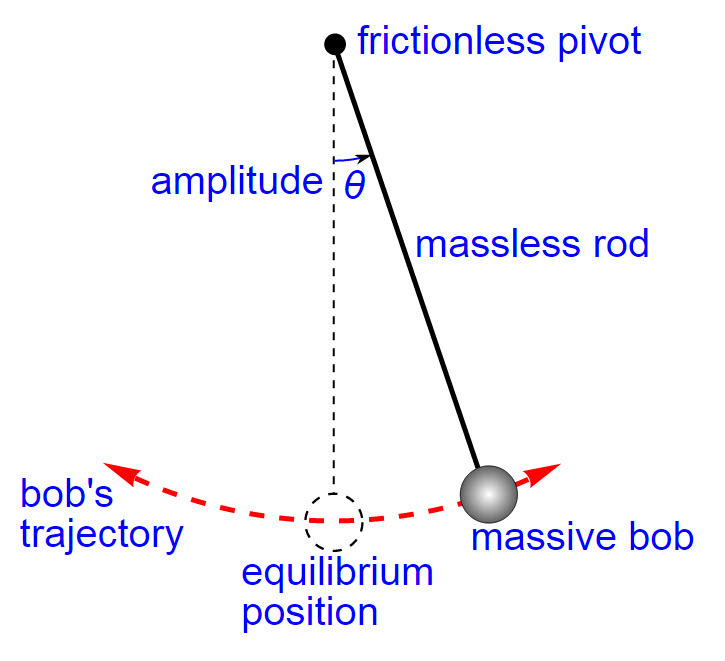 I do not say that the Arabs formulated the laws governing the pendulum or that they expressed this in mathematical terms in the form which we know now, but I do say that they preceded Galileo in inventing and using the pendulum. At least Ibn Yūnus wrote nothing on mathematical series. What Ibn Ḥamza (fl. Mecca, ca. 1590) wrote on series and algebraic notation was of interest but with-out any influence on the development of mathematics in the West[]. “The Arab scholar ... Ibn Yūnus . 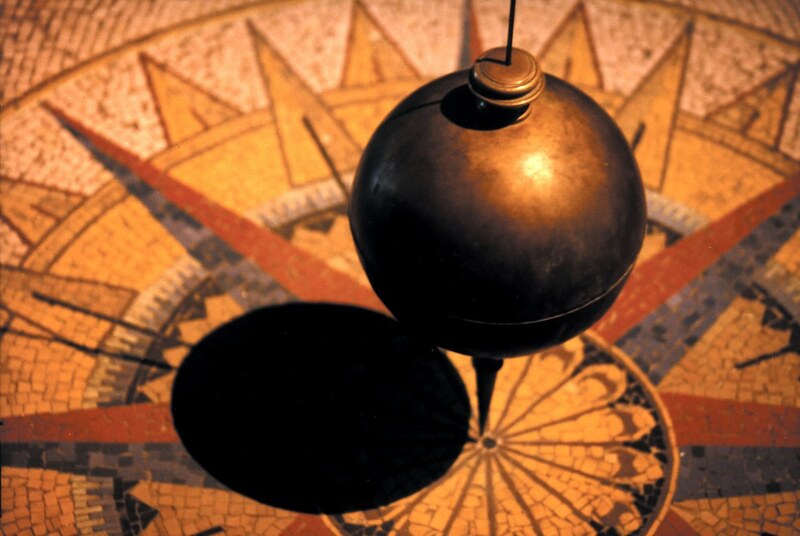 . . is considered the inventor of the pendulum. The attribution of this invention to Ibn Yūnus ... occurred in the writings of the equitable French orientalist Sedillot . . . Likewise two other orientalists (I) Tyler and Sedgwick refer to the priority of the Arabs in (the invention of) the pendulum . . . These sources show that the credit for in-venting the pendulum and using it to calculate time intervals during observations is due to the Arabs. Consequently it is inevitable that they were aware of the relations pertaining to the duration of the oscillation of the pendulum, and this was before the Italian scholar Galileo Galilei by more than six centuries." In a book on the Arab contribution to mechanics published just two years earlier—Shawqi made no reference whatsoever to either Ibn Yūnus or the pendulum[]. He gives no reference for the statement, and it is sad indeed to see inaccuracies of this kind throughout a book which is likely to be widely considered as an authoritative general work on Islamic sciences[]. In 1962 there appeared in a Beirut newspaper an article about the invention of the pendulum by the scholar Kamāl al-Dīn ibn Yūnus[]. I have not seen this article, but following its publication the author Usama Anuti, then lecturer at the Lebanese University, decided to pursue the evidence for the invention more carefully, and in 1964 published a booklet in Arabic entitled Hal iktashafa I-‘Arab raqqāş al-sā`a? (Did the Arabs Discover the Pendulum?)[]. “Firstly, the Arabs participated in this scientific discovery, and they knew some of the laws of the pendulum and they used them in the mathematical field but not in the instrumental. Secondly, the credit for finding its laws goes back, apparently, to Ibn Yūnus the Egyptian, not to (the Ibn Yūnus) from Mosul. Anuti had enough of the necessary modern sources at his disposal to realise that the attribution of the discovery of the pendulum to Ibn Yūnus stood on rather insecure foundations, but at least he sorted out the problem of Kamāl al -Dīn Ibn Yūnus. Anuti’s work has, as far as I know, been cited only once in the more recent literature. In the introduction of the photo-offset edition of the treatise on mechanical devices by the twelfth -century engineer al-Jazari published in 1977 by the Centre for the Revival of the Arab Scientific Heritage at the University of Baghdad, mention is made of the discovery of the pendulum by the Arabs47a. 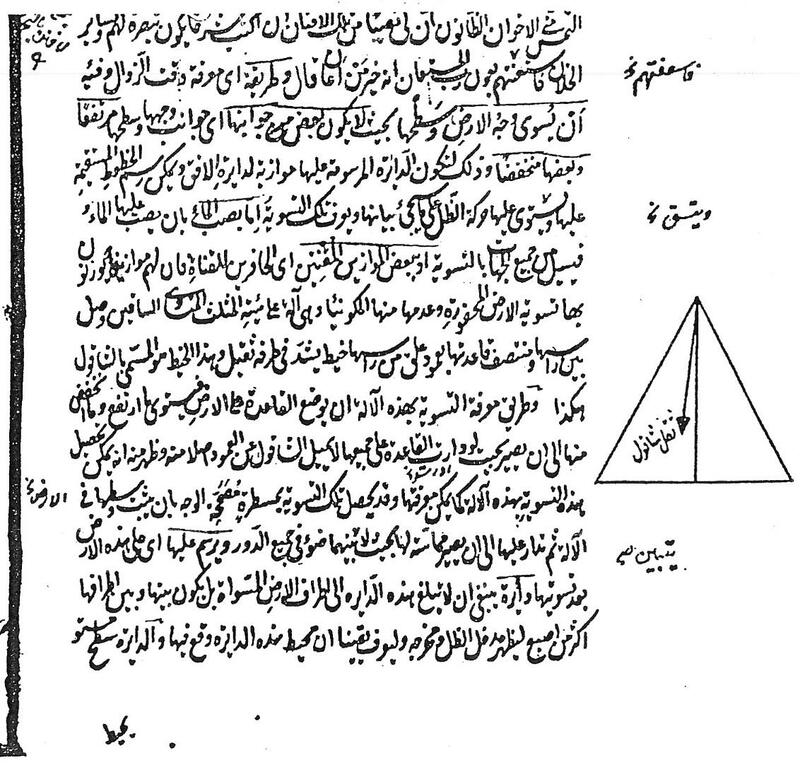 The editor, M. A. Shams, asserts that “the sources” state that Abū Sa`īd `Abd al-Raḥmān ibn Yūnus al-Miṣri discovered the pendulum (hereby confusing the astronomer ‘Alī ibn `Abd al-Raḥmān ibn Yūnus with his father, who was also called Ibn Yūnus!) and, quoting Anuti’s second article, not his first one (! ), adds that the scholar of Mosul, Yūnus ibn Muḥammad ibn Man`a (hereby confusing Kamāl al-Din Ibn Yūnus with his father! ), also “knew many things about the laws governing the oscillation of the pendulum.” Now we have three Ibn Yūnus’es and one Yūnus who are associated with the discovery of the pendulum! After the completion of this paper Prof. Bert S. Hall of the University of Toronto showed me the proofs of a paper of his on the early history of the pendulum in Europeo[47b]. In this study Prof. Hall has devoted a paragraph to the false attribution of the invention of the pendulum to Ibn Yūnus, and has refered to the origin of the myth in the writings of Bernard, its recurrence in later European sources, and its confutation in the two articles by Wiedemann. “Watches were not the only line English craftsmen had to offer; pendulum clocks too found a ready market in Turkey, although only at a slightly later date. With the invention of the pendulum clock in the seventeenth century precise time-keeping had at last become possible. While Europe was still discussing this amazing new invention and arguing whether the priority belonged to Galilei or to Huygens, somebody came forward with the surprising claim that the real inventors of the pendulum clock were the Arabs [footnote referring to Bernard]. The extraordinary idea that medieval Arabic clocks could have been regulated by a pendulum was widely believed [foot-note referring to von Humboldt]. E. Wiedemann has shown how the misunderstanding came about: what looked like a pendulum in the illustrations of medieval Arabic manuscripts was in reality a plumb-line [footnote referring to Wiedemann 1 and 2]. 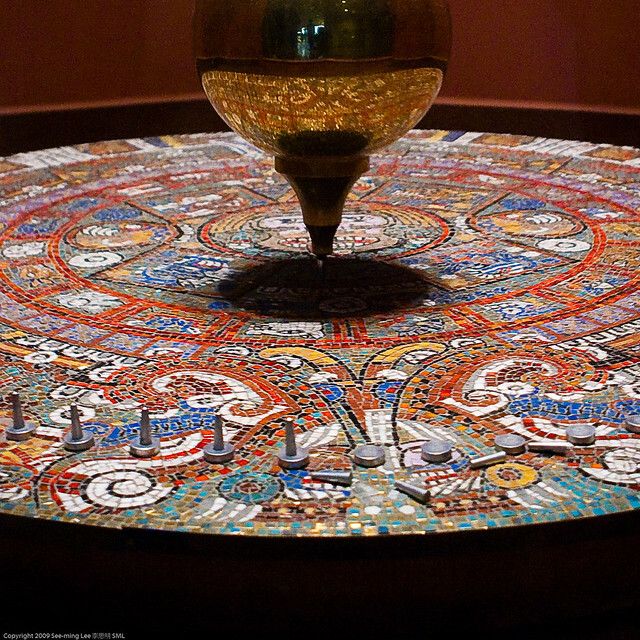 The statement that the pendulum was used by the Arabs was first made by Edward Bernard (1684). It was repeated by Montucla (1804) and Laplace (1821), but Thomas Young (1809) introduced the additional fiction that Ibn Yūnus and “the other Arabian astronomers” used the pendulum. The distinguished historian of Islamic science L. A. Sédillot (1853-54) convinced himself that this was indeed the case. The American historian of mathematics Eugene Smith (1923) mentioned the attribution of the discovery to Ibn Yūnus but made a mistake about the date of Ibn Yūnus, which enabled Qadri Tuqan (1941) to introduce Kamāl al-Dīn Ibn Yūnus into the picture as well. No author from Bernard (1684) to Nasr (1976) has adduced a shred of evidence to support the claim that the pendulum was used by Ibn Yūnus or any other Muslim scholar. The sources cited above illustrate the way in which the myth of Ibn Yūnus’ invention of the pendulum has gained acceptance in the popular literature on Islamic science. When deprived of this distinction Ibn Yūnus still ranks as one of the leading astronomers of the medieval period, and is appreciated as such by no one more than by myself. Is there any evidence whatsoever in the manuscript sources that any medieval Muslim scholar might have been familiar with the principle of the pendulum? I have wondered for some time about the meaning of a title of a work written by the early-eleventh-century scientist al-Bīrūnī, which is listed by al-Bīrūnī in his own bibliography, published by the German orientalist C. E. Sachau in 1878[]. In a section on the works that he wrote specifically on timekeeping and chronology al-Bīrūnī mentions a treatise entitled Maqāla fi ta`bīr al-mīzān li-taqdīr al-azmān, literally, “Treatise describing (?) the balance for measuring the times”. The only additional information that he gives is that the treatise comprised fifteen folios. This treatise is, as far as I know, not contained in any of the several thousand Islamic scientific manuscripts preserved in the libraries of the Near East, Europe, and North America. However, in his treatise On Shadows, published in Hyderabad in 1948, al-Biruni mentions a “balance” (mīzān) for reckoning the times of the two day -time prayers, the ẓuhr and the `aṣr, which are defined in terms of shadow lengths. E. S. Kennedy, in his translation and penetrating study of this work, has reconstructed the instrument, which is simply a device for observing shadows[]. 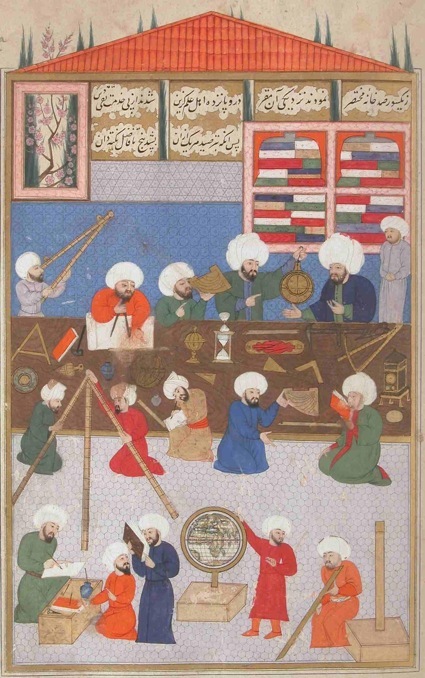 Also, the thirteenth-century Yemeni scholar Ibrāhīm ibn `Alī al-Aṣbahī, author of a treatise on folk astronomy and timekeeping[], describes an instrument for reckoning the hours called a mīzān, which he attributes to an individual named Yaḥyā ibn Sa`īd al-Zubayrī, On whom I have no further information. The instrument is simply a gnomon divided into either six and a half or twelve units on a horizontal base on which the shadow can be measured. This mīzān also serves to regulate the ẓuhr and `aṣr prayers. 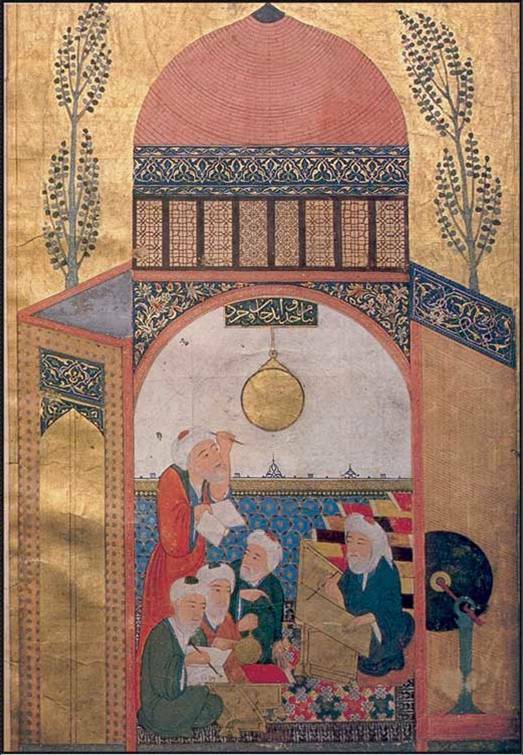 Yet another example of the use of the term mīzān to refer to a device for reckoning time is the mīzān al-Fazārī, perhaps dating back to the eighth -century Baghdad astronomer al-Fazari, and known to us from a description by the thirteenth-century astronomer Abū `Alī al-Marrākushī[]. This instrument is an unusual variety of sundial. Thus, in all probability, the mīzān described by al-Bīrūnī was an instrument for reckoning time by shadows, hence having nothing to do with the pendulum. In view of the lack of any evidence to the contrary, we conclude that the principle of the pendulum was unknown to the scientists of medieval Islam. This assertion of Sédillot’s I do not contest. U. Anuti, “al-Faqih alladbi ktashafa raqqāṣ al-sā`a”, al-Sha`b (Beirut newspaper), no. 468 (Tammūz 27,1962), p. 2. —, “Hal iktashafa l-`Arab raqqās al-sā`a (=Did the Arabs Discover the Pendulum? )”, Beirut (no publisher named), 1964. A. M. Aqqad, Athar al -`Arab fi l-ḥaḍāra al-Ūrūbīya (= The Influence of the Arabs on European Civilization) (Cairo: Dar al-Ma`arif, 1946). E. Bernard, “The Longitudes, Latitudes, right Ascensions, and Declinations of the chiefest fixt Stars according to the best observers”, Philosophical Transactions, vol. XIV (1684), pp. 567-576. Al-Bīrūnī, Ifrād al-maqāl fi amr al-ẓilāl, no. 2 in Rasā’il al-Bīrūnī (Hyderabad: Osmania Oriental Publications, 1948). D. J. Boilot, “L’CEuvre d’al-Bērūnī: Essai bibliographique”, Mélanges de l’Institut Dominicain d’études orientales du Coire, II (1955), pp. 161-255, and “Corrigenda et Addenda”, III (1956), pp. 391-396. C. Brockelmann, Geschichte der arabiscben Litteratur, 2 vols., 2nd ed. (Leiden: E. J. Brill, 1943-49), and Supplementbande, 3 vols. (Leiden: E. J. Brill, 1937-42). DSB = Dictionary of Scientific Biography, 14 vols (New York: Charles Scribner’s Sons, 1970-76). EI, Encyclopaedia of Islam, 1st ed., 4 vols. (Leiden: E. J. Brill, 1913-34). B. S. Hall, “The Scholastic Pendulum”, to appear in Annals of Science, XXXV (1978). A. von Humbolt, Cosmos: a Sketch of a Physical Description of the Universe, English translation by E. C. Otte (New York: Harper & Bros., 1859-61). E. S. Kennedy, The Exhaustive Treatise on Shadows by Abū al-Rayhān ... al-Bīrūnī: Translation and Commentary, 2 vols (Aleppo: Institute for the History of Arabic Science, 1976). D. A. King, Spherical Astronomy in Medieval Islam: the Ḥakimī Zīj of Ibn Yūnus to be published by the State University of New York Press. See already “The Astronomical Works of Ibn Yūnus, unpublished Ph. D. dissertation, Yale University, 1972. —, “Ibn Yūnus’ Very Useful Tables for Reckoning Time by the Sun”, Archive for History of Exact Sciences, X (1973), pp. 342-394. O. Kurz, European Clocks and Watches in the Near East (London: The Warburg Institute and Leiden: E. J. Brill, 1975). P. S. Laplace, Précis de l’Historie de l’Artronomie (Paris: V. Courcier, 1821). G. Lebon (= Le Bon? ), La Civilisation des Arabes (Paris: Finnin-Didot, 1884). — , Translated into Arabic by M. A. Zu`aytar as: Ḥaḍārat al -`Arab (Cairo: al -Ban! al-Halabi, 1945). H. M. Leon, “A Great Muslim Astrologer”, Islamic Culture, V (1931), pp. 434-441. S. Maher, al-Baḥriya fī Miṣr al-islāmīya wa-āthāruha l-bāqiya (= The Navy in Islamic Egypt and its Vestiges) (Cairo: Dār al-Katib al`Arabī, n. d. (1968 ?)). H. Michel, Traiti de l`Astrolabe (Paris: Gauthiers-Villars, 1947). J. F. Montucla, Histoire des Mathematiques, 4 vols. (Paris: Henri Agasse, An VII). A. Muntasir, Ta’rikh al`ilm wa-dawr al -`ulamā‘ al-`Arab fi taqaddumihi (= The History of Science and the Role of the Arab Scholars in its Development), 5th ed. (Cairo: Dar al-Ma’ārif, 1973). —, A chapter On science in the U.N.E.S.C.O. publication Athar al -`Arab wa-l-Islām fi I-nahḥa al-Ūrūbīya (= The Influence of the Arabs and Islam on the European Renaissance) (Cairo: al-Hay’a al- Miṣrīya al-`āmma li-l-ta’līf wa-l-nashr, n. d.). S. H. Nasr, Science and Civilization in Islam (Cambridge, Mass. : Harvard University Press, 1968). —, Islamic Science: an Illustrated Study (London: World of Islam Festival Publishing Company Ltd., 1976). O. Neugebauer, The Exact Sciences in Antiquity, 2nd ed. (New York: Dover Publications, Inc.. 1969). E. C. Sachau, Chronologie Orientalischer Völker von Albêrûnî (Leipzig: F. A. Brockhaus and Otto Harrassowitz, 1923, reprinted Baghdad: Maktabat al-Muthanna, n. d.). Salih Zeki, “Notation algébrique ches les Orientaux”, Journal Asiatique, XI (1898), pp. 35-52. F. Sarruf, “Athar al-`Arab fī nahḍat al-fikr al-`ilmī (= The Influence of the Arabs in the Renaissance of Scientific Thought)”, al -`Ulūm (Beirut magazine), III (1961), p. 4. A. Sayili, The Observatory in Islam (Publications of the Turkish Historical Society, Series VII, No. 38, 1960). C. Schoy, “Über eine arabische Methode, die geographische Breite aus der Höhe der Sonne im 1. Vertikal (‘Höhe ohne Azimut’) zu bestimmen”, Annalett der Hydrographie und Maritimen Meteorologie, XLIX (1921), pp. 124-133. —, Gnomonik der Araber, in E. von Bassermarm-Jordan, ed., Die Geschichte der Zeitmessung und der Uhren, Bd. IF (Berlin -Leipzig: Vereinigung Wissenschaftlicher Verleger, 1923). W. T. Sedgwick and H. W. Tyler, A short History of Science, rev. by H. W. Tyler and R. P. Bigelow (New York: The Macmillan Company, 1939). L. A. Sédillot, “Mémoire sur les Instruments Astronomiques des Arabes”, Mémoires de l’ Academie Royale des Inscriptions et Belles-lettres de l’Institut de France, I (1844), pp. 1-229. —, Materiaux pour servir à l’histoire comparee des sciences mathematiques chez les Grecs et les Orientaux, 2 vols. (Paris: Firmin Didot Freres, 1845-49). —, Prolégomènes des Tables Astronomiques d’Oloug-Beg, I: Texte and II: Traduction et Commentaire (Paris: Firmin Didot Freres, 1853). —, Histoire des Arabes (Paris: L. Hachette, 1854). Translated into Arabic by `Ali Mubarak as: Khulāṣat ta’rikh al-`Arab al-`āmm (Cairo, 1309H (= 1891/92)); and by `Adil Zu`aytar as Ta’rīkh al-`Arab al-`āmm (Cairo: Dar Iḥyā’ al-kutub ar-`Arabīya, 1948). J. -J. Sédillot, Traité des Instruments Astronomiques des Arabes Compose au Treizième Siècle par Aboul Hhassan Ali de Maroc, 2 vols. (Paris: Imprimerie Royal; 1834-35). M. A. Shams. ed., Muqaddima li-cilm al-mīkānīk fi l-ḥaḍāra al-cArabīya, Baghdad: Baghdad University Press, 1977. J. Shawqi, Turāth al-`Arab fi l-mīkānīkā (= The Heritage of the Arabs in Mechanics) (Cairo: `Ālam al-kutub, 1973). —, “Darāsat al-`Arab fi sulūk al-ajsām al-mutaḥarrika", (= Behavior of Moving Bodies — Arab Studies), `Ādiyat Ḥalab (University of Aleppo), I (1975), pp. 30-51. D. E. Smith, History of Mathematics, 2 vols. (reprinted New York: Dover Publications, Inc., 1958). H. Suter, “Die Mathematiker und Astronomen der Araber und ihre Werke,” Abhandlungen zur Geschichte der mathematischen Wissenschaften, 10 (1900). Q. H. Tuqan, Turāth al-`Arab al-`ilmi fi l-rīyāḍīyāt wa-l-falak (= The Scientific Heritage of the Arabs in Mathematics and Astronomy), 3rd ed. (Cairo: Dar al-Qalam, 1963). E. Wiedemann, “Über die angebliche Verwendung des Pendels zur Zeitmessung bei den Arabern”, Berichte der deutschen physikalischen Gesellschaft, (1919), pp. 663-664. —, “Über die angebliche Verwendung des Pendels bei den Arabern”, Zeitschrift für Physik, X (1922), pp. 267-268. —, Article “Mizan” in EI. —, “Über den indischen Kreis”, Mitteilungen zur Geschichte der Medizin und Naturwissenschaften, XI (1912), p. 252. —, Aufsätze zur arabischen Wissenschaftsgeschichte, 2 vols. (Hildesheim: Georg Olms, 1970). F. J. Wood, Article “Pendulum” in The Encyclopedia Americana, International Edition, New York: Americana Corporation, 1972, vol. XXI, pp. 502-503. T. Young, A Course of Lectures on Natural Philosophy and the Mechanical Arts, 2 vols. (London: William Savage for Joseph Johnson, 1807). A. Zaky, Turāth al-Qāhira al-`ilmī wa-l-fannī fi l-`aṣr al-Islāmī (= Medieval Legacy of Cairo) (Cairo: Maṭba’at al-Kīlānī, 1969). 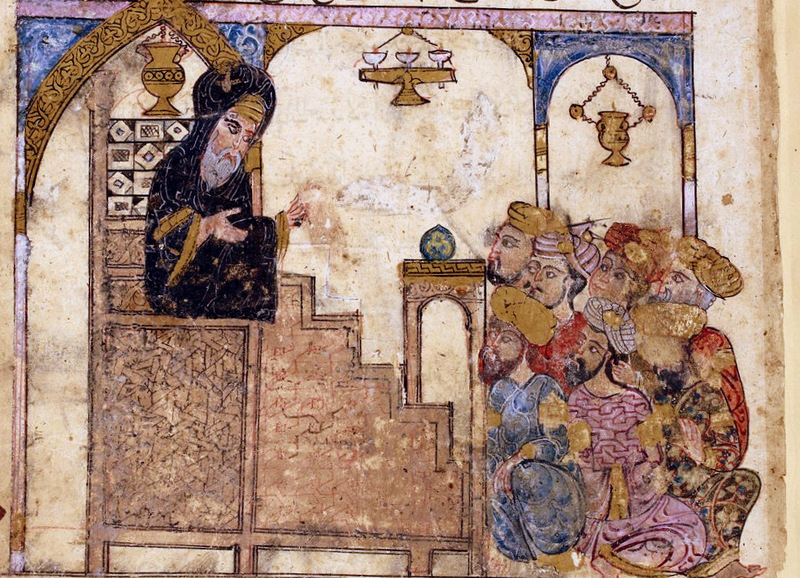 The research on the history of Islamic science conducted at the American Research Center in Egypt since 1972 has been supported mainly by the Smithsonian Institution and National Science Foundation, Washington, D. C., and also by the American Philosophical Society (1972-74) and the Ford Foundation (1976-79). This support is gratefully acknowledged. Cf. Wiedemann 1 and 2, and also 3. Wiedemann traced the myth to Bernard and Sédillot-fits, but overlooked Young and Laplace. On al-Shīrāzī see Brockelmann, II, pp. 274-275, and SII, pp. 296-297, and the article by Nasr in DSB. The same illustrations are contained in al-Shīrāzī's al-Tuhfa al-Shāhīya, reproduced in Wiedemann 2. On al-Khalkhāli see Brockelmann, II, pp. 544-545, and SII, p. 591. On the Indian circle see Wiedemann 4. al-Khalkhāli's illustration is reproduced in Wiedemann 1. In fact Delambre (ca. 1820) discovered that this identity underlay two equivalent formulae in spherical astronomy propounded by Ibn Yūnus: on this see King 1, Part I, Section A, and Part III, Section 15.3.. Thirdly, Sédillot (fils) stated that Ibn Yūnus invented the gnomon à trou, the aperture gnomon (sec the quote:, in the text of this paper): there is no evidence whatsoever in the known manuscript sources that Ibn Yunus used an aperture gnomon. See also note 41 below. Laplace, p. 60, cited in von Humboldt, II, pp. 219-220. Young 1, p. 191-192, cited in von Humboldt, II, pp. 219-220. See King 1, Part I, Section C for further details. See, for example, Sédillot-fils 2, I, p. 42 ff. and 5, p. 350. The assertion was disproved by Carra de Vaux in 1892. For a brief discussion of the controversy see Neugebauer, pp. 206-207. Sédillot-fils 1, pp. 24 and 44. The second remark, but not the first, is repeated in Sédillot-fils 2, p. 306. Sédillot-fils 3, reprinted in 4, II, p. xxvi. Sédillot-fils 5, pp. 351 and 385. Von Humboldt, II, p. 219. Lebon, pp. 500 and 510. The Arabic translation of this passage in Lebon 1a, p. 501, is quoted in Anuti 2, p. 10. Sédillot-fils 4, II, p. 255. Sédillot fils 2, I, pp. 322-331 and 357-364. 30a On Kamāl al-Dīn Ibn Yūnus, whose full name was Kamāl al-Din Mūsā ibn Yūnus ibn Muḥammad ibn Man`a al Shāfī`ī, see Suter, no. 354; and Brockelmann, SI, p. 859. On Ibn Hamza see Salih Zaki. 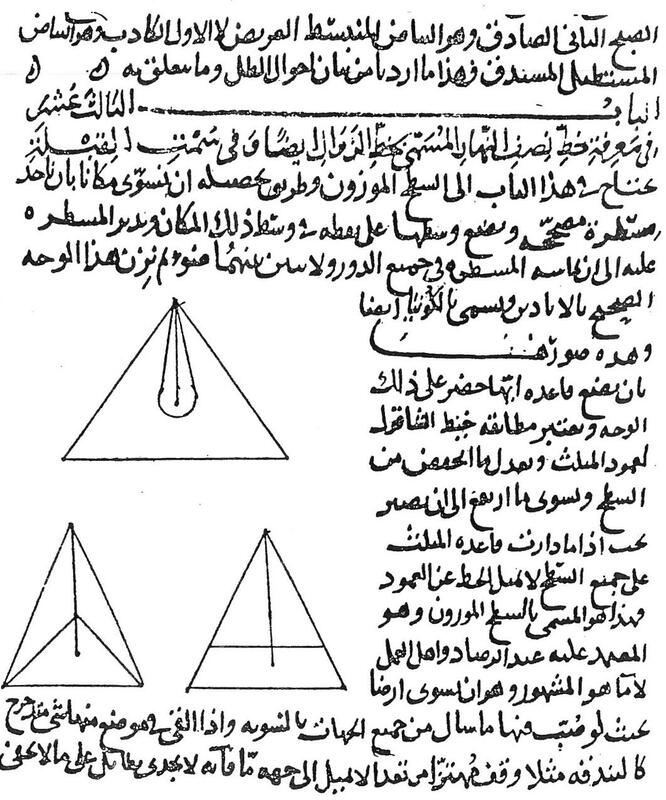 In this work we also read that Ibn Yūnus had an observatory on the Muqattam Hills outside Cairo (p. 112, with a reference to Sayili); that he discovered the prosthaphaeresis formula of trigonometry (p. 84); and the additional fiction that he devoted careful studies to the measurement of longitudes (p. 48), and that he produced a major work on geography (p. 40). Anuti 2. It is a pleasure to thank Dr. Ahmed Yusuf al-Hasan, President of Aleppo University and Director of the Institute for the History of Arabic Science, for sending me a copy of Anud’s booklet. Namely, Aqqad and Sarruf, neither of which I have examined. In the third statement Anuti goes off on a tangent to discuss’ Kamāl al -Dīn Ibn Yūnus’ modification of Sharaf al -Dīn al-Ṭūsī’s linear astrolabe (on which see Michel, pp. 21-22 and 119-132). On al-Bīirūnī see the article by E. S. Kennedy in DSB and the references there cited. The title in question is recorded in Sachau, p. xx3odii, translated in Wiedemann 5, II, p. 493, and also noted in Boilot, p. 193, no. 51. Wiedemann translated the title as “Abhandlung über die Erklärung der Wage (Methode, Regel) zur Bestimmung der Zeiten”, that is, “Treatise on the explanation of the balance (method, rule) for the determination of the times”. Cf. al-Bīrūnī, p. 110 ,and Kennedy, I, p. 155, and II, pp. 82-83.
 al-Aṣbaḥī is not listed by Suter or Brockelmann. I have used MS Cairo Dār al-Kutub mīqāt 948 (copied 1320/1902-03) of his treatise (entitled Kītāb al-Yawāqīt fi l-mawāqīt), in which the description of the mīzān is on fols. 10v -11r and 16v -18r. A much older copy is. MS Baghdad Awqāf 2982/6276 (copied in Taiz in 680/1281-82), and other copies exist in Oxford and Cambridge. On the mīzān al-Fazārī see Sédillot-père, II, pp. 458-473, and Sédillot-fils 1, pp. 46-54. Sédillot-fils 2, p. 306, and 1, pp. 24-25.